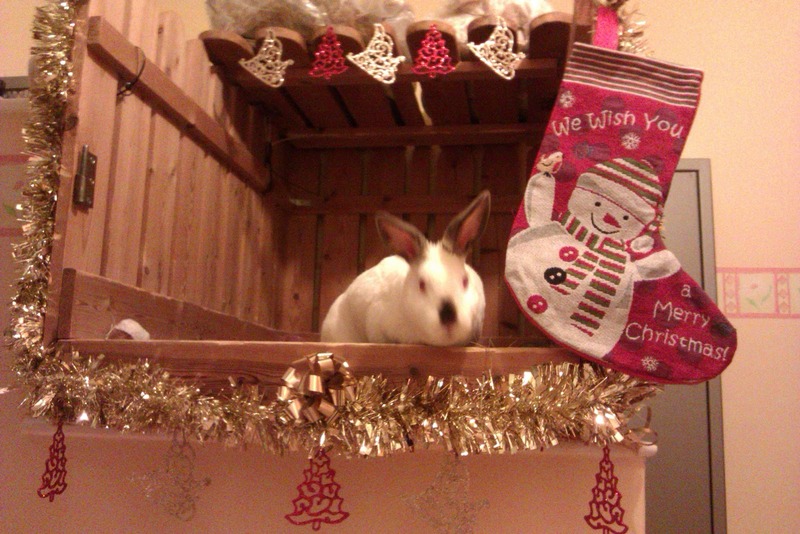 Speedy the cheeky house bunny: Speedy's Christmas Den! After I finished work today I did my grocery shopping so I manage to pick up some Christmas Decorations for Speedy's Den,And I found a pretty Christmas stocking for him too! I think after Speedy inspected my work he seemed to be happy with it all,we just need some presents now for his stocking! LOVE IT!!! Speedy's Party Barn!! Your place looks fantastic Speedy! Bring on the presents! Speedy, you are so sweet! I wish all bunnies were cared for as you are! I can tell your hoomins take good care of you! oh Speedy, you look so happy. Speedy your den looks so festive and cozy!!!! I love it! oh Speedy! your den is way more pawsome than mine, for sure. Dad is so lame about decorating stuff...so we just go with what Mom does inside...but you are lookin' good my bunny furriend!! So festive. 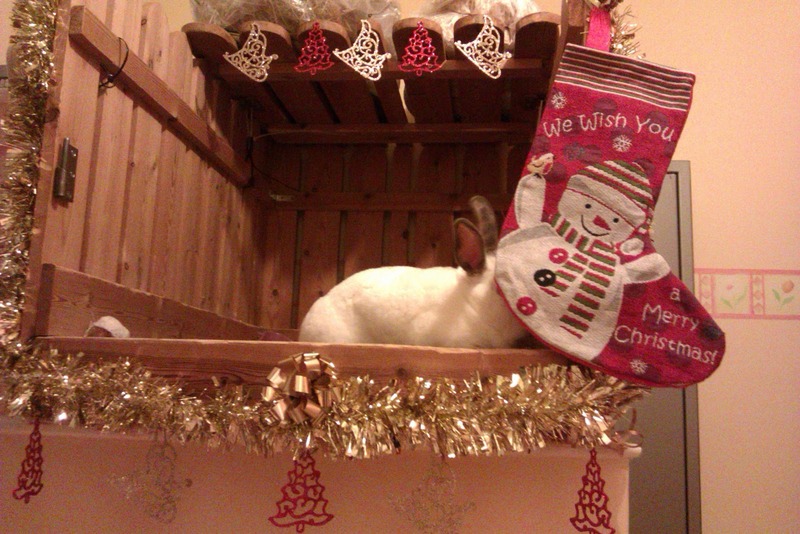 Some bunns around here are getting antsy for their decos. Looks liike Speedy is ready to par-tay! Looks ace, i wish my bed was as Chritmasey!! Oh my goodness, that is so beautiful! You are so lucky to have your own grotto! Hope that stocking gets filled to the max! Yous has your very own Christmas Den! And SOCK! Me is a teeny tiny bit jealous! That's adorable. 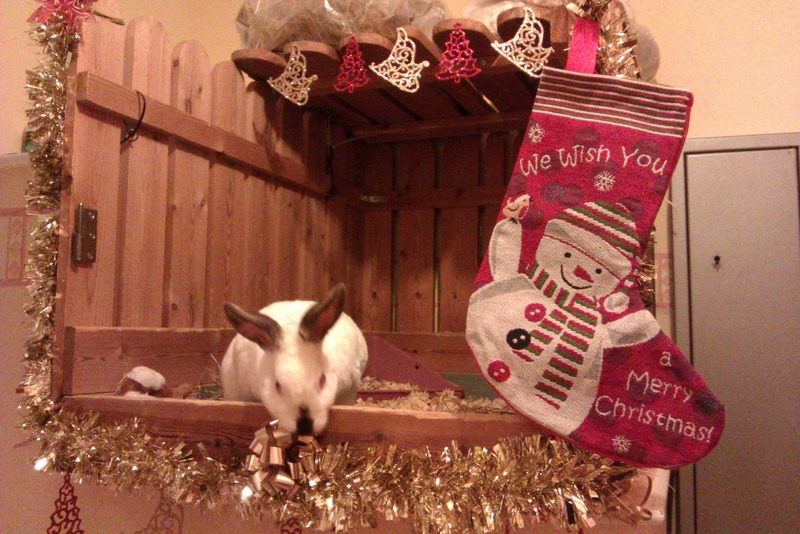 I thought of putting some garland around the bunnies pen, but... Ashy would eat it.